John played high school tennis, both doubles and singles. He played doubles in the state tournament both as a Junior and Senior on the varsity team. As an adult, John began his teaching career for Norwalk Parks and Recreation from 1971-1973 teaching youth and adult lessons. In addition he organized end of summer tournaments. During the summer of 1974 John was the assistant to the head pro at Camp Berkshire. The camp participants traveled to other area camps for match play. In 1974 John became the Assistant Pro at Trumbull Racquet Club (at the time the head pro was his high school tennis coach). In the summer of 2004 John, alongside Colin Lea, worked for Milford Recreation teaching youth tennis lessons. John has been with Greg and Dave (now FCT) since 2004 working in many towns, and has been the Head pro at the Wilton Summer Camp for the past 15 summers. In addition to working at FCT, John will return for his twelfth summer at Longshore Club Park teaching youth tennis in the afternoons. In the spring and fall John also provides instruction to children and adults in Fairfield, Stratford and Orange. 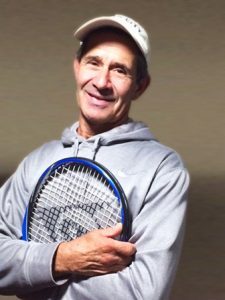 For the fall and winter months, John teaches at Sylvan Tennis Club in Westport. He has also worked at the Bubble in Fairfield, as well as Milford and Trumbull Racquet Clubs. He is a member of the USTA and USPTA, has attended several workshops, including Coach Youth Tennis courses. Being able to teach a game he is passionate about to everyone who wants to learn and allow them to have fun while improving their skills is something he will always cherish and never take for granted. This is central to John’s philosophy as a tennis instructor and coach.